What's It Like In Wake Forest, NC? Conveniently located northeast of Raleigh near Falls Lake, Wake Forest is a highly-desirable community for many reasons. Though the town has grown considerably, it maintains a charming small town feel where neighbors meet and say hello. Wake Forest continues to be a top destination for local commuters looking for a vibrant atmosphere packaged in a tight-knit community. 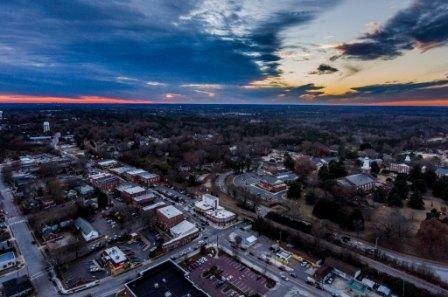 Back in 2007, Forbes magazine credited Wake Forest for being the 20th fastest growing suburb in America, and recent population statistics certainly support that claim. As of 2015, the population was 38,199 - that’s up from the 2010 population of 30,117 and considerably more than the 12,588 in 2000. The heart of Wake Forest is Downtown, where locally owned boutique shops, restaurants, and cafes line the streets. Thanks to the relatively mild climate, most days you’ll see people walking, biking, or dining outside in the beautiful weather. 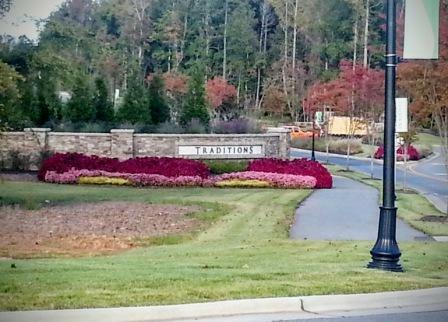 Amenity Rich Neighborhoods: With excellent master-planned communities such as Heritage, Hasentree, Holding Village, and Traditions at Wake Forest, home buyers looking for great amenities will have plenty of choices. Amazing Schools: One of the big reasons people want to live in Wake Forest is access to great schools. The town offers highly ranked public, charter, and private schools. Things To Do: With its location near Falls Lake State Park and an excellent parks department, there are plenty of recreation options in Wake Forest. Plus, there’s bowling, ice skating, horseback riding, theater, and lots more to do. Shopping: From locally owned boutiques to numerous big box and grocery stores, residents can usually find what they need without leaving town. Dining: Restaurant options are plentiful, and you don’t have to resign yourself to the same big-name chains found in every town. Great locally owned restaurants are thriving in Wake Forest, NC! Where is Wake Forest, North Carolina? It is primarily located in Eastern Wake County, however outer edges reach into Franklin County and Granville County. Wake Forest is neighbored by Raleigh, Durham, Creedmoor, Youngsville, and Rolesville. Like the rest of the Triangle area, Wake Forest is just a few hours drive from mountains and beaches. Residents especially love to visit NC’s famous Outer Banks. 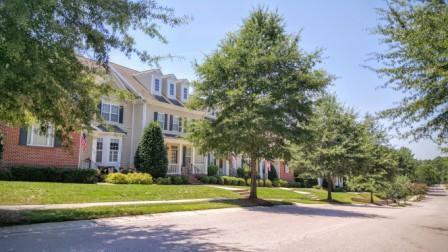 Similar to other Triangle area towns, Wake Forest homes for sale offer a variety of single-family homes and townhomes. Whether you’re searching for a luxury home in a neighborhood like Wakefield or Hasentree, or a newer townhome in a community such as Shearon Farms or Stonegate, you will find excellent homes to match your wants and needs. If you’re searching for charming ambiance and walkability, Downtown Wake Forest may be your ideal place to call home. For buyers who want a neighborhood with plenty of amenities, check out Heritage, Traditions, Hasentree, Wakefield, and Holding Village. There truly is something for everyone, and we want to be the local market experts to help you navigate the Wake Forest NC real estate market. For more information on Wake Forest homes for sale, or to schedule a showing of an available property, contact Brandon Duncan with Duncan Prime Realty at 919-808-2001. Don’t delay; the best homes for sale in Wake Forest sell very quickly! Families in Wake Forest have excellent options for education, and the great schools are a big reason people choose to move to Wake Forest. The highly-rated public schools are managed by the Wake County Public School System. There are also excellent charter schools including Franklin Academy, Endeavor Charter School, and Wake Forest Charter Academy. For families seeking private education, there are a number of private schools including a Thales Academy campus. Wake Forest is the original home to Wake Forest University, and that campus is now home to Southeastern Baptist Theological Seminary. As part of the Research Triangle with its many colleges and universities, residents of Wake Forest are also close to excellent options in higher education. Residents also benefit from the nearby Northern Wake campus of Wake Tech Community College. Library lovers will enjoy visiting the Wake Forest Library on E. Holding Ave and the newly built Northeastern Regional Library in the Wakefield community off of Capital Boulevard. With it’s location at Capital Boulevard (US 1) and Highway 98, and it’s proximity to I-540 and US 401, Wake Forest is convenient to both Raleigh and Durham. Like most communities in the Triangle, Wake Forest is considered “car-dependant.” However, if you’re looking for the ability to walk to shopping or amenities, you do have a few options. There are parts of Heritage that are within walking distance to shopping centers, and parts of Downtown Wake Forest also offer more walkability. A Wake Forest real estate expert is your best resource for finding walkable homes for sale in Wake Forest. Wake Forest is also convenient to the Neuse River Greenway Trail, which connects to other Raleigh greenways and the Mountains To Sea Trail. The Wake Forest and Raleigh greenways are becoming more connected and are bike friendly, making bike travel easier than ever. Wake Forest is a patchwork of small businesses and entrepreneurs thanks to its business friendly environment. In fact, the Wake Forest Chamber boasts over 700 members. Many in the Wake Forest area own or work for a small business. Plus, since it is so close to Raleigh and Durham, it’s easy to enjoy the benefits of living in Wake Forest and working in a neighboring city. 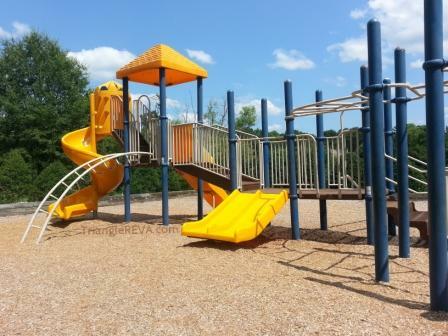 One of the jewels of the Wake Forest community is the Parks, Recreation, and Cultural Resource Department. They manage twelve facilities and a growing number of greenways. The ‘cultural’ part of this department has done a fantastic job of bringing theater and entertainment to Wake Forest. From puppet shows to concerts and even dinner theater, there’s always something interesting coming up in Wake Forest. Locals also love being close to Falls Lake and the Neuse River, which offers water sports, fishing, hunting, and hiking at the Falls Lake State Park. A number of neighborhoods along this part of the Neuse River have easy access to the Neuse River Greenway Trail, which is 27.5 miles long and connects to the Mountains To Sea trail as well as many smaller trails in the Raleigh greenway system. Joyner Park is a wonderful place to spend an afternoon! This 117-acre expanse offers paved walking trails, a shady pecan grove, interesting old farm buildings, and an amphitheater, where outdoor activities are held during the summer. Step back in time to the founding of Wake Forest at the Wake Forest Historical Museum. Located in the historic first home built by Dr. Calvin Jones, this museum tells the story of Wake Forest with a collection of fascinating artifacts. With consistently good food and a friendly staff, Over The Falls has been winning over patrons for years. You can’t go wrong with anything on their menu, but one of their best known dishes is their amazing burger. With two Wake Forest locations and a food truck, Charlie’s Kabob Grill is a favorite that not only serves great food, but is also convenient. Stop in and try one of their daily specials. They’re all yummy! Offering delicious menu items for seafood fans and land-lovers alike, Shucker’s is a busy local favorite. Online reviewers rave about their shrimp and grits, raw bar, and steak. The story of Wake Forest began in 1832 when Dr. Calvin Jones bought 615 acres of forest in Wake County. 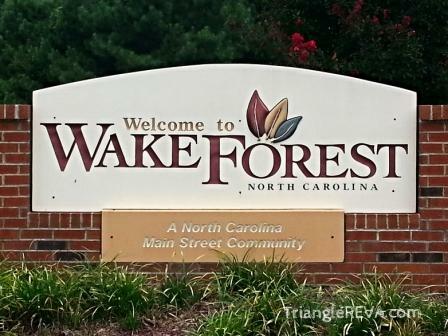 Back then, the area was sparsely populated and was known as the “Forest of Wake” or Wake Forest. Dr. Jones sold the farm to the North Carolina Baptist convention, which opened what would become the Wake Forest College. The railroad came to the area in the 1840s, bringing growth and economic opportunity. The community was incorporated in 1874. In 1956, Wake Forest College moved to Winston Salem, and Southeastern Baptist Theological Seminary took its place. The seminary is still located at the original home of Wake Forest College in the heart of Wake Forest. Now a fast growing Raleigh suburb with about 40,000 people and counting, Wake Forest is a popular choice for anyone looking for a great place to live, work, and play.